This Happy Improv Tote featuring Stonington Collection, Designed by Denyse Schmidt for Free Spirit, The Pattern is available for free. Brighten any day with this handy tote. 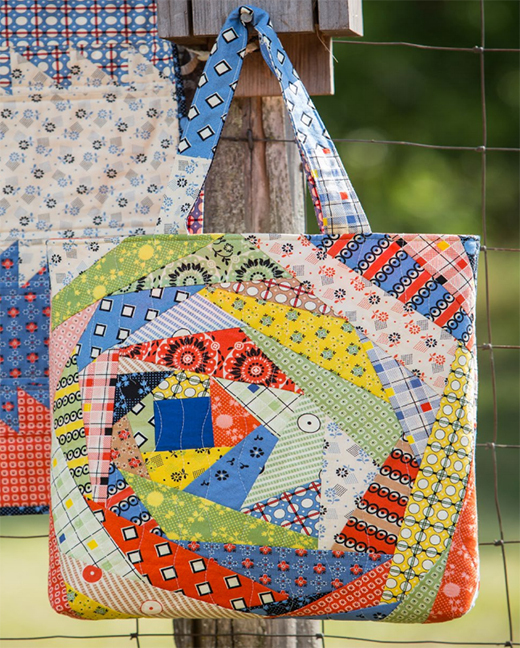 Easy-to-piece improv blocks make a fabulous one-of-a-kind carryall.